The'Fleur-de-lis', long a symbol of french royalty, has never looked better than it does on this beautiful tiara. Done entirely with sparkling Austrian rhinestones, it looks stunning with the prominent starlet scepter as a set. 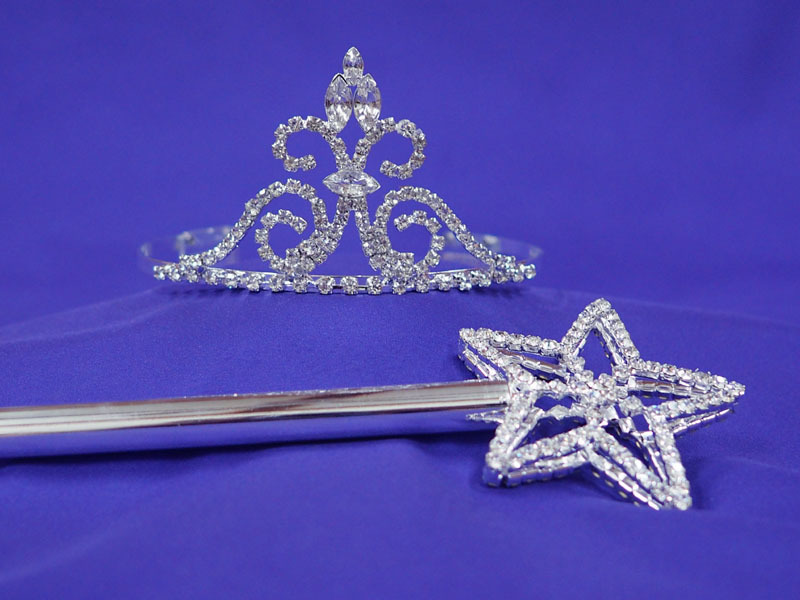 The tiara and scepter are also available separately.